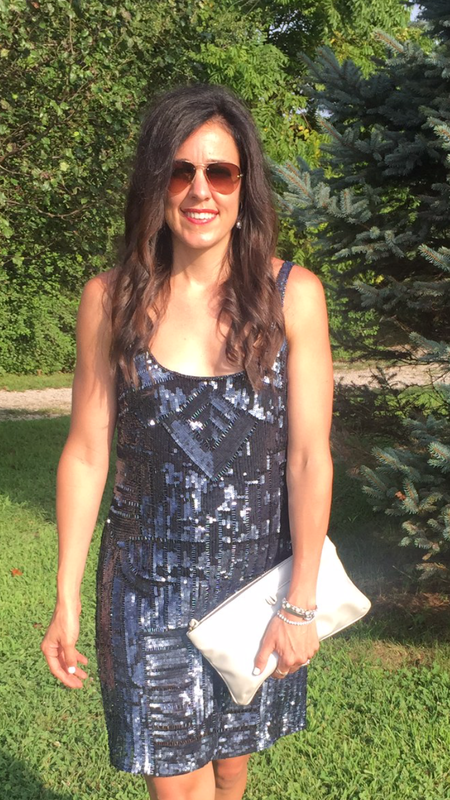 The second dress in this series is an awesome navy blue sequin dress. I love the solid tone because you can really do anything with it. 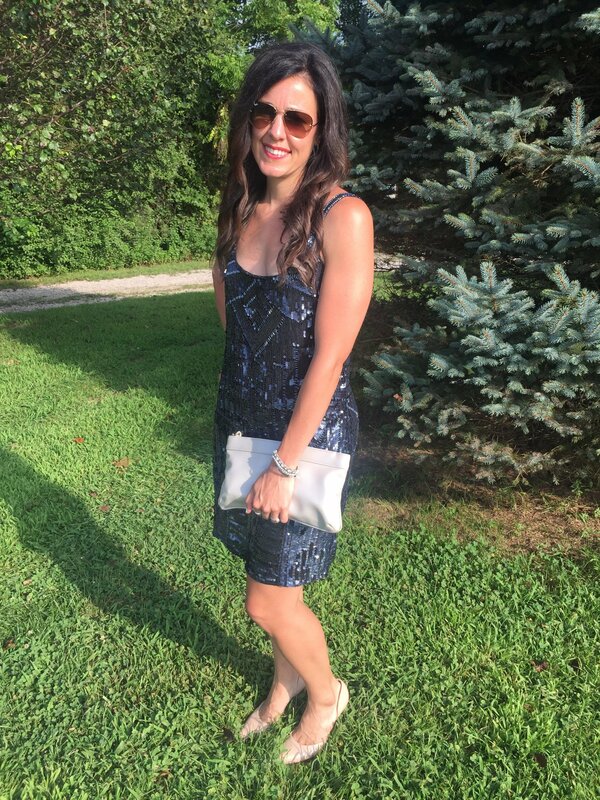 I opted to keep things really simple because we were headed to an outdoor wedding and it was about 100 degrees out. 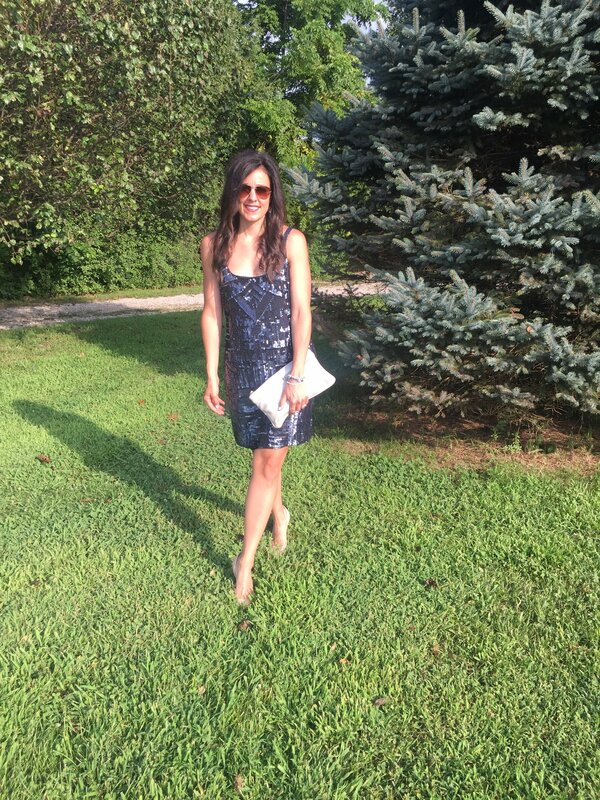 However, you could easily add some pops of color with a bright shoe and/or clutch. 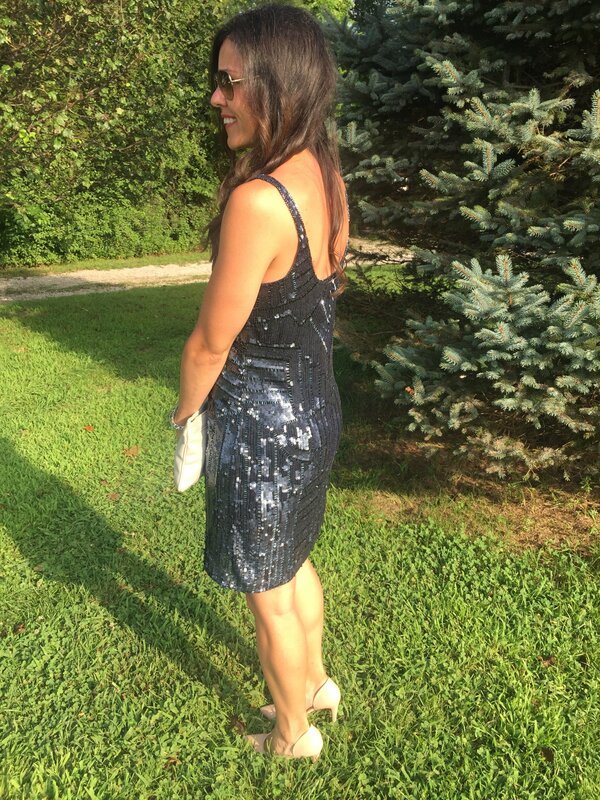 I can’t wait until next week’s dress to round up this wedding series, it’s my favorite of all three sequin dresses! Hope you have a great Thursday and weekend…I know we will because we’ll be soaking up some California sun! !